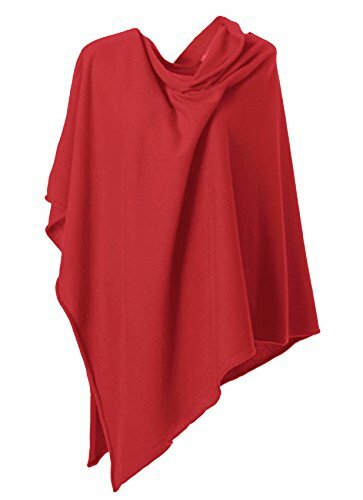 Specifications: The poncho wrap is about 28.3" (72 cm) square when folded flat and features a 12" (31 cm) asymmetrically placed boat neck. Worn with the point in the front, the wrap measures about 37" (94 cm) from the neckline to the pointed hemline. When worn with the seam in the front creating a V-neck, the poncho length in the front is 16" (40 cm) and when draped with the seam in the back, it is 28.3" (72 cm). Since this garment is hand made, please allow up to 3/5" (+/- 0,5 - 2 cm) in size difference. Dry-clean or hand wash, dry flat. If you have any questions about this product by Anna Kristine, contact us by completing and submitting the form below. If you are looking for a specif part number, please include it with your message.